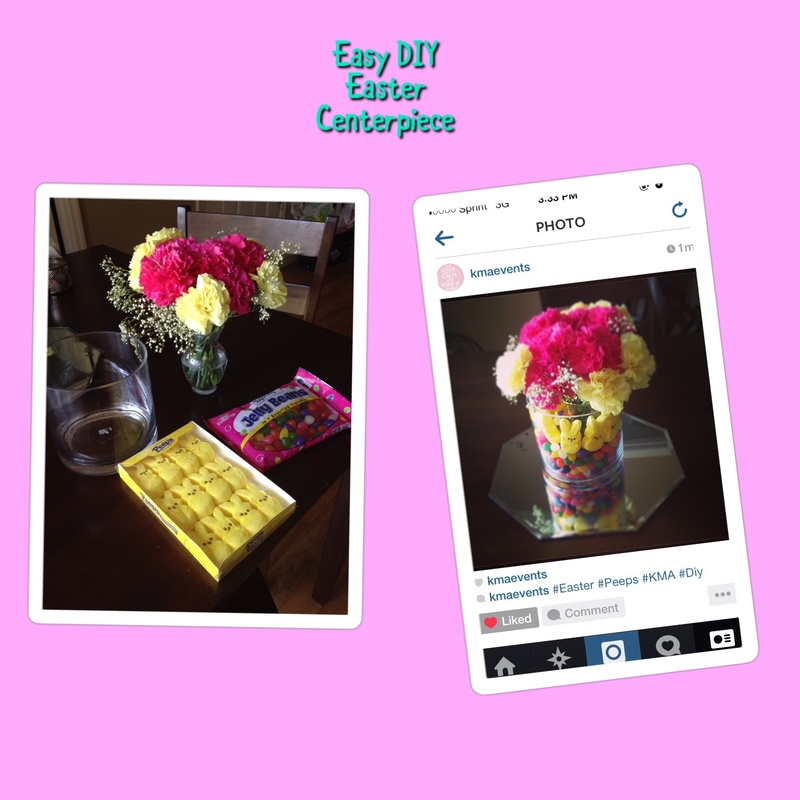 We are just a few weeks away from Easter and I have the perfect diy centerpiece for you! I first made this centerpiece a few years ago! I love how cute and easy it is. So if you are hosting Easter dinner or brunch this diy Peep centerpiece will set the tone for all of your Easter entertaining!! Let’s hop on to the instructions! Cut the stems on your flowers to fit in the small vase and add water to the vase. Place the small vase inside of the larger vase. Next fill the vase with jelly beans and place the peeps on top of the jelly beans! This is so pretty and creative!! I’ll gave to come back to this the next time I’m hosting Easter brunch! This is so cute with the jellybeans! Thanks for sharing. This is such a gorgeous setup for Easter! I so love the color of the flowers! I never thought about adding the creative arts to my culinary explorations! This is such a great idea! My Easter table will be more beautiful this year!